Why a new skid/bash plate? 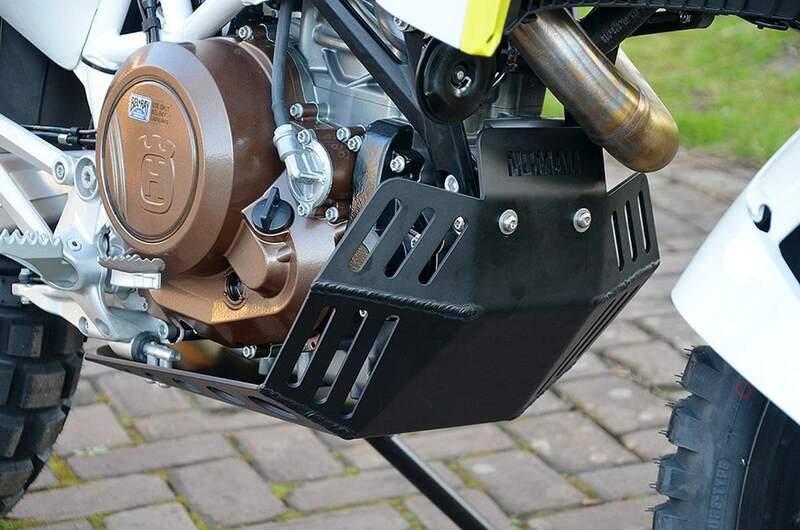 The Husky 701 and KTM 690 come standard with a skid/bash plate. Made from ABS it is probably strong and corrosion resistant. So why would we make an aluminium one? Because our skid/bash plate offers better protection, is stronger and gives better cooling (as we allow for more airflow around the engine). 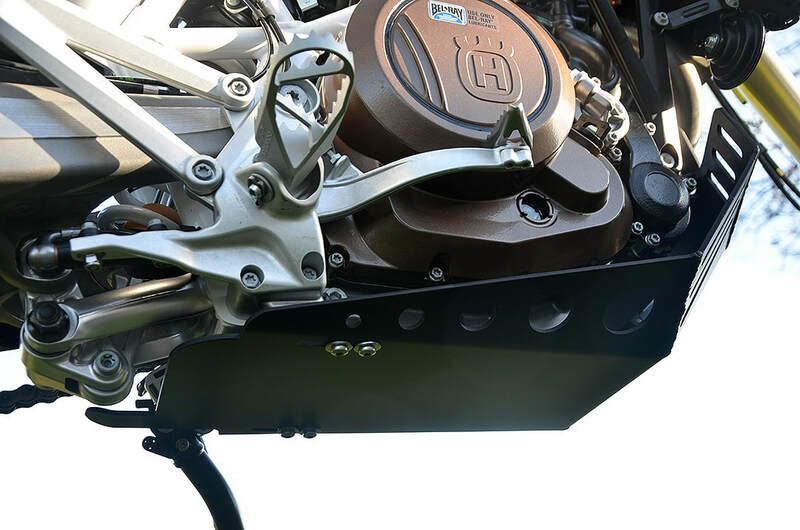 If you look from the front of the bike, you'll notice that the engine and waterpump are protected much better than with the standard plate. Costly to repair and most likely an end to your travels due to engine failure if not spotted timely. ? 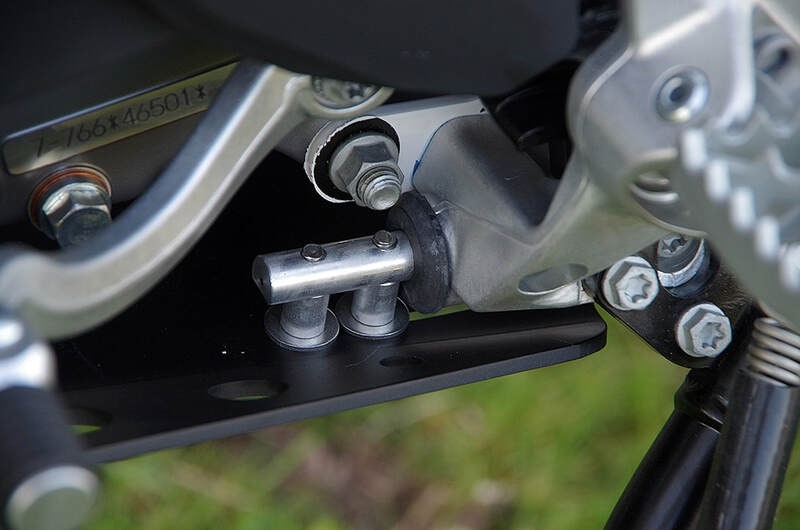 The skid/bash plate comes complete with mounting brackets and bolts.